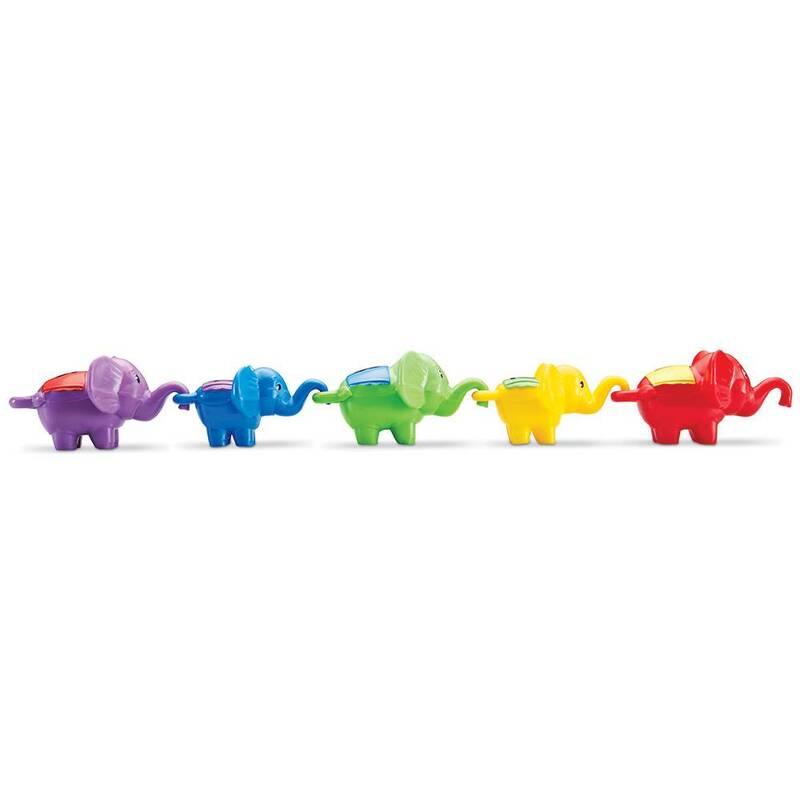 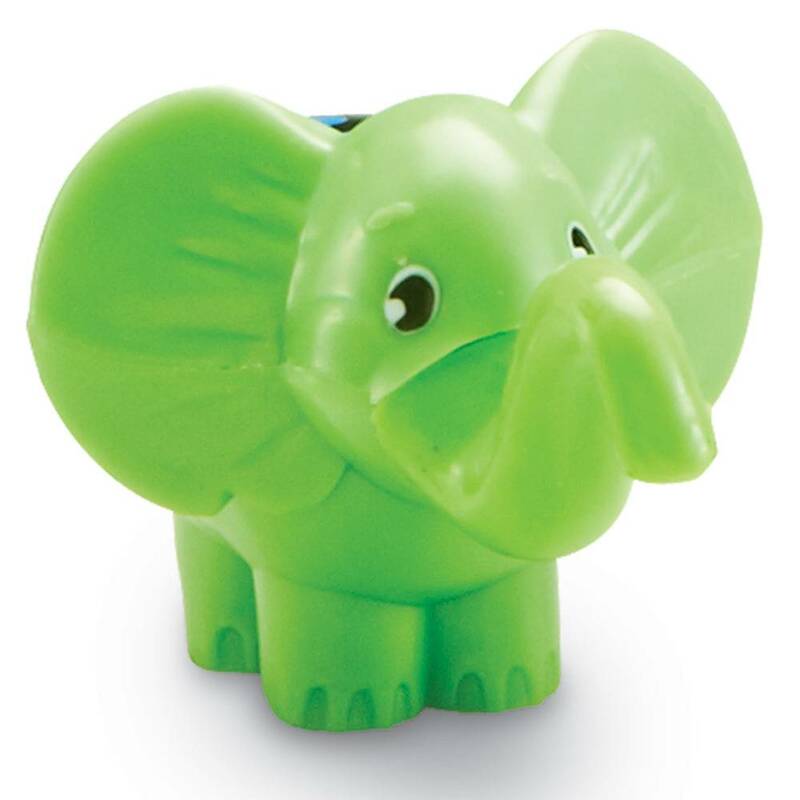 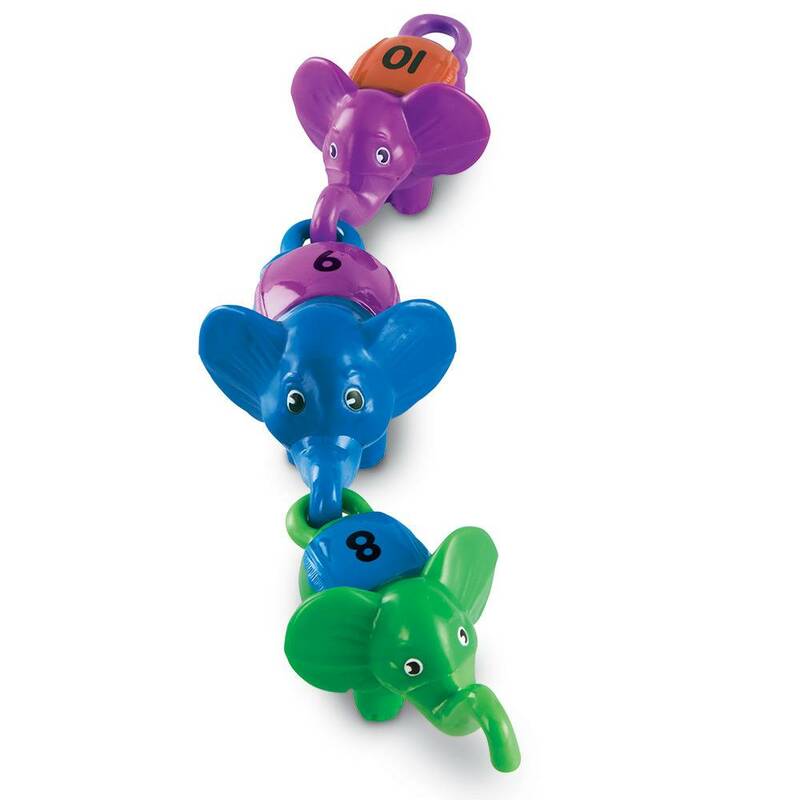 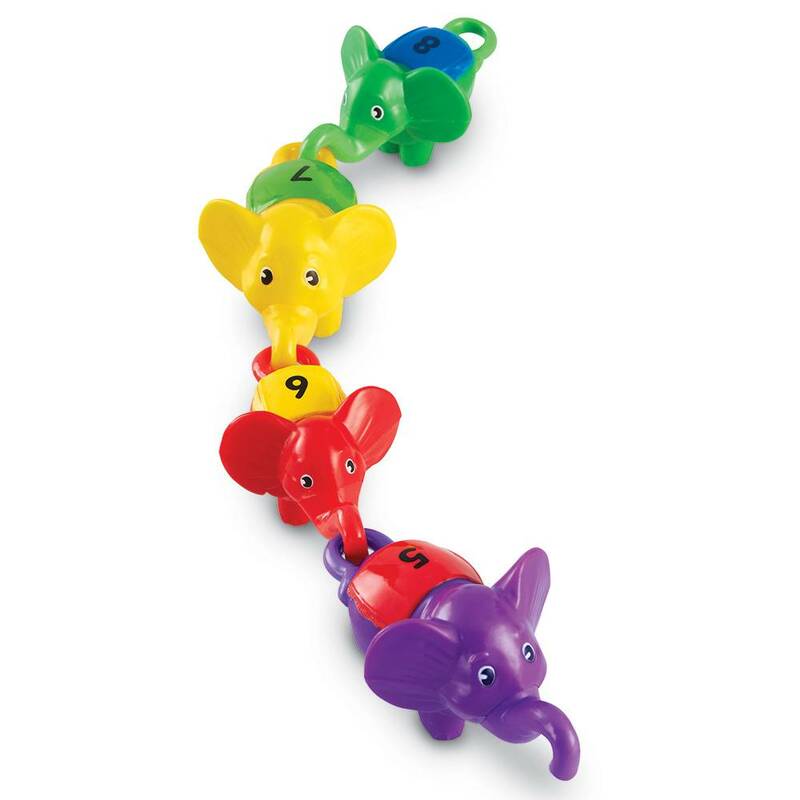 Large elephants measure 4.25" L. x 2.25" H.
Gives little learners a helping hand with scaffolded support: each blanket is color-coded to match the creature that comes next in the sequence. 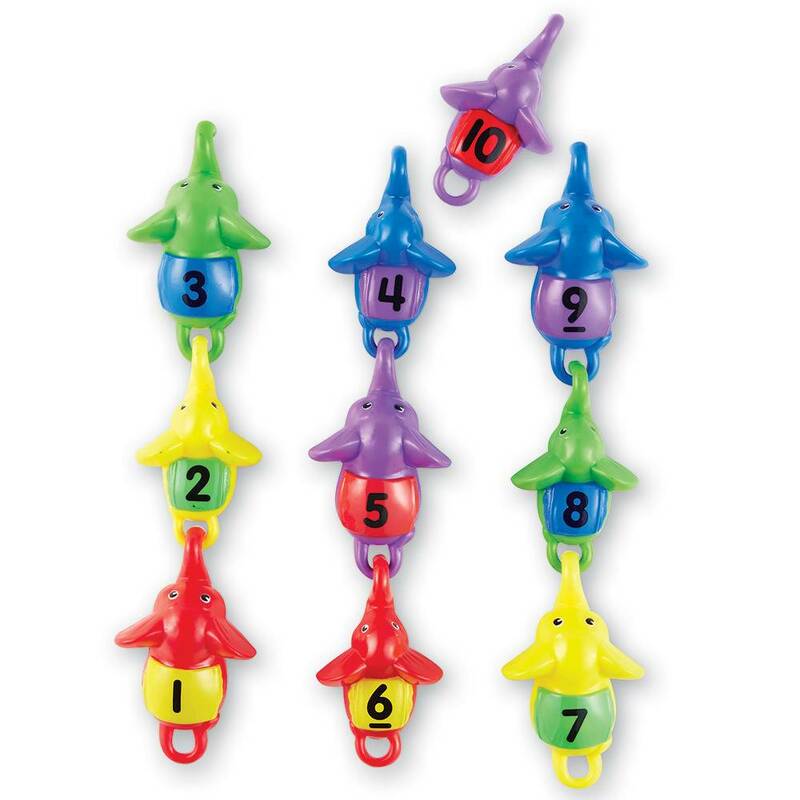 Reinforces number recognition (1–10), sequencing, color matching and fine motor skills. 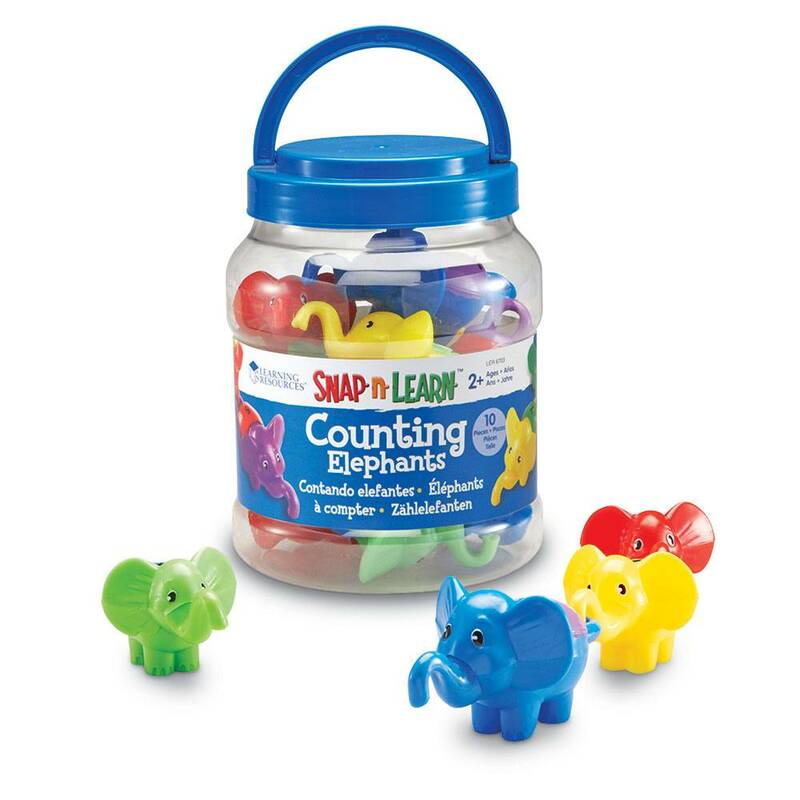 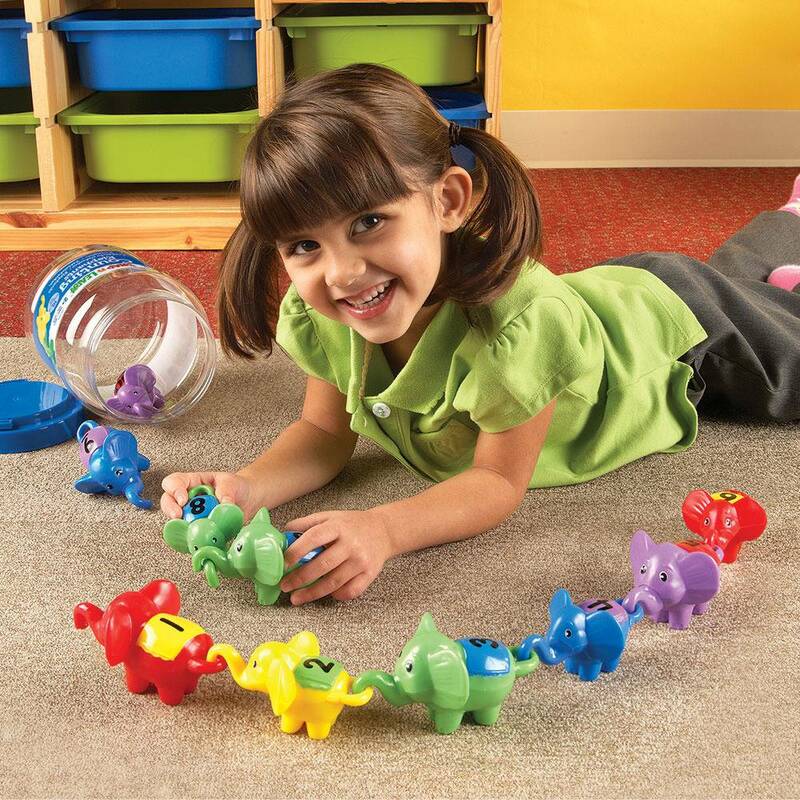 Features durable, chunky plastic pieces that wipe clean with a damp cloth.